Less than one week before the deadline for the submission of non-binding bids, Italian commercial broadcaster Mediaset has pulled out of the bidding to acquire the TV assets of Telecom Italia Media. In a reaction to press speculation, Mediaset issued a statement in which it formally rules itself out of the race, revealing that such a decision was reached back in July, after an examination of data regarding the assets. 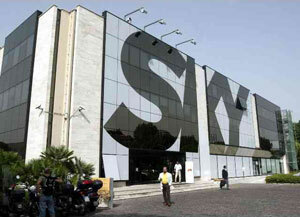 Meanwhile, news has emerged of the possibility of Sky Italia taking part in the bidding process. Previously, Al Jazeera, Discovery Channel and L’Espresso publishing group had expressed interest in the purchase, with RTL also seen as a possible bidder. Because of debt-trimming by parent Telecom Italia, its multimedia unit is putting national TV channels La7 and MTV Italia up for sale, as well as their broadcasting frequencies and transmitters. Analysts say that La7’s market value has increased because of its moderate, balanced approach to news reporting. Telecom Italia CEO Franco Bernabè said that his company would not sell for “just any amount”, nor would it consider projects that would drastically alter La7’s current format. “The selling price has an important role, but there is also the project proposal to consider,” he added. Bernabè also confirmed that the preliminary bids would be examined by the Board of Directors on September 27. In a related development, Italian multimedia group L’Espresso has denied press reports that it is negotiations Sky Italia regarding a tie-up in the field of DTT, pointing out it plans to continue to develop its TV broadcasting business (which includes national broadcaster Deejay TV) on its own. L’Espresso Group also underlined that commercial relations with Sky Italia mainly concern the rent of broadcasting capacity for the free-to-air channel Cielo.